I am releasing a book and it’s going to be AWESOME! So after many years of blogging, we are in the finishing phases of releasing an ebook on Amazon Kindle that you can view on a computer, a smartphone, Kindle, or other device. Look Before You Leap is going to be released this fall, 2015. 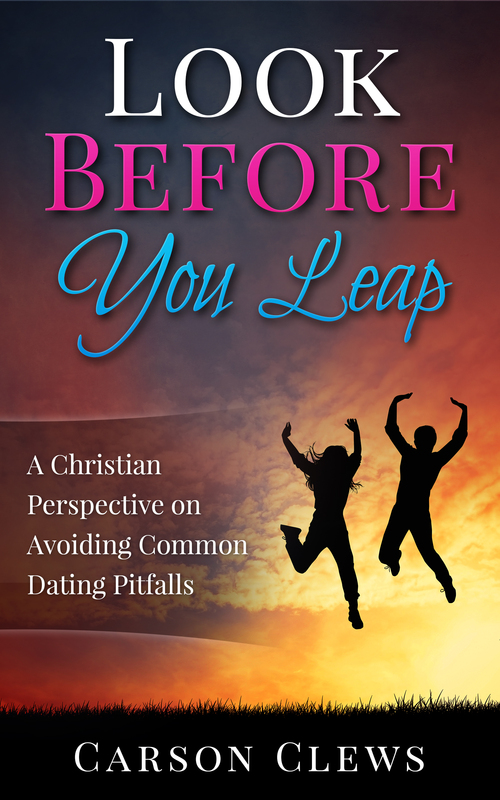 It’s meant for Christians of any age who have decided to start dating. We all know people who have ended up in a relationship that sucked…but sometimes, that guy/girl looked like such a nice person beforehand. What happened? And how do I make sure that I, myself, am not like that? TO STAY UPDATED: “Like” or follow my author page on Facebook (Carson Clews). This way you can get free stuff and stay updated on the release of my book! Coming soon to a theater near you. Or…a book.